PayPal offers a payment plan you can apply for during the check out process. Thank you for your interest in our dog trainer programs. Well-trained dog trainers seem to be in more demand each and every year, training dogs for all types of work including Obedience, Narcotic, Arson and Bed Bug and Termite Detection, Tracking, dogs for service work including dogs for the handicapped and the hearing impaired, as well as training Fido to be a well-mannered household pet. Our goal is to provide you with the necessary knowledge to help you reach your goal of becoming a knowledgeable dog trainer. 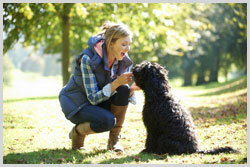 Our programs have been developed by the dog training experts at the Canine Behavior Specialists Network. Our Live Distance Learning Programs actually brings us into your training area to help you train. The power of the internet is going to help you with the training process by having us right there with you as you train so that you can get instant feedback. 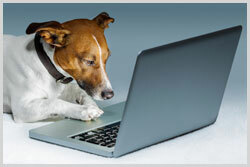 Canine Behavior Specialists Network is the pioneer in this new way of learning for dog trainers. Our methodology will allow you to have 1 on 1 training without the traditional on campus program. Our Self Paced Programs are exactly that, you train at your own pace when you have the time.These programs have been designed for the busy person that needs a flexible schedule or a person who wants training but at a more affordable cost. Keep in mind that even the Self Paced Programs give you access to your trainer when needed. The Campus Training Program is exactly that.We offer a 4, 6 and 10 week program at our training facility in Austin, TX where our skilled trainers will guide you through the steps to become a great trainer.We also offer some Campus Training programs in Nashville, TN. As a member of our programs, you will be involved in training with our highly qualified instructors. Our programs are structured to insure you get the best possible understanding of the training methods being used. What better way to learn the training techniques than by putting them to immediate use! 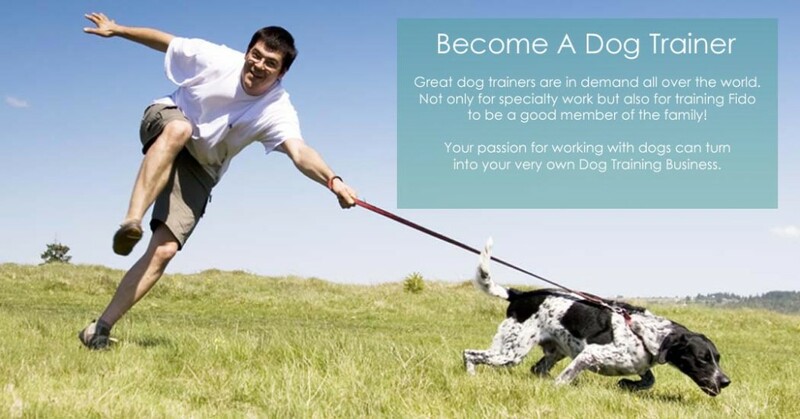 You will not only learn to train dogs, but you will also learn the ins and outs of the dog training business. Our training staff is available to answer any questions you might have regarding how to start your own training program.